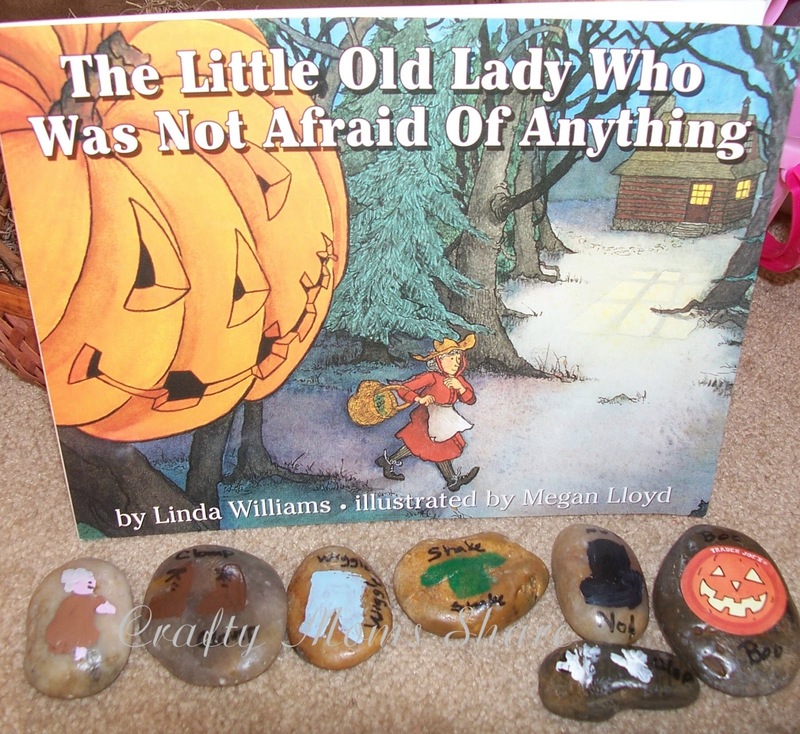 Two of Hazel's all time favorite books are Big Pumpkin by Erica Silverman and The Little Old Lady Who Was Not Afraid of Anything by Linda Williams. Last year, I needle felted Hazel the characters to Big Pumpkin, and we made some from toilet paper rolls. 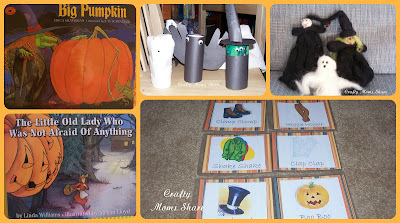 Then I made her a memory game with the clothing and pumpkin and the sounds they make from The Little Old Lady Who Was Not Afraid of Anything. This year we have been doing the story stones, so I made her story stones of the different "characters" from each book. 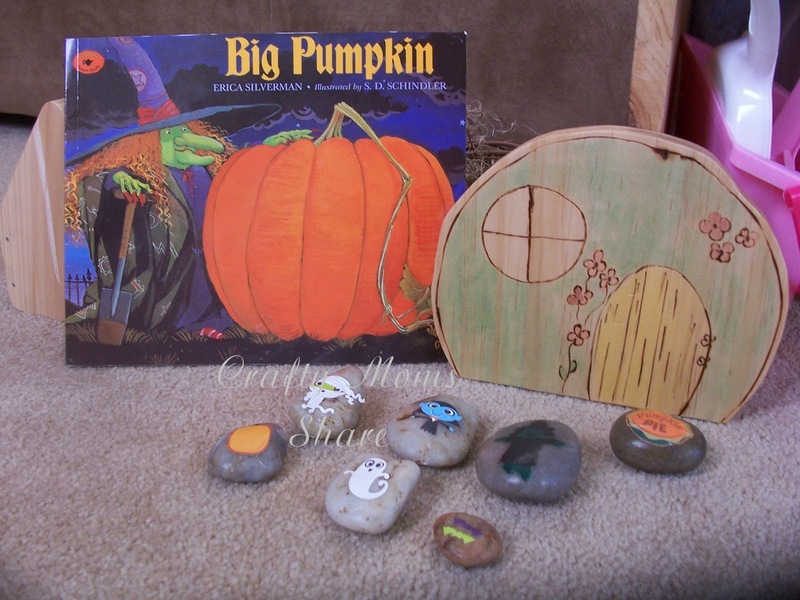 For Big Pumpkin, I gave her the big pumpkin and a pumpkin pie! I was able to use stickers for all of these except the witch. I did my best to paint a witch for her. We also needed a house for the witch, so we used the lovely cottage that Kelly from Happy Whimsical Hearts made for Hazel. 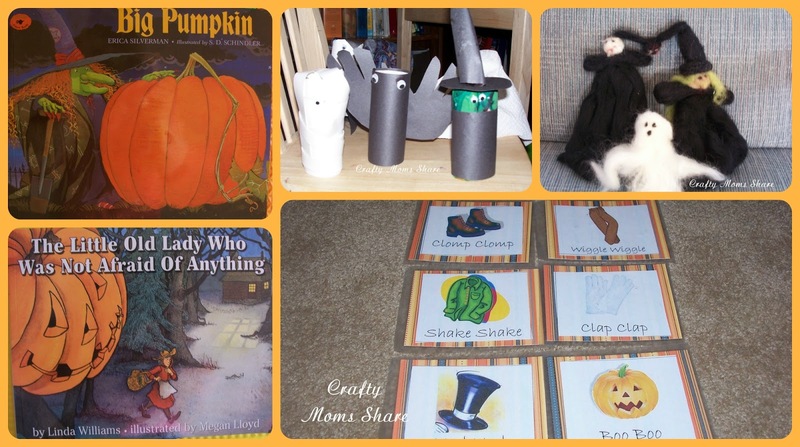 Now we can act out while reading the book or without reading the book. Yes, Hazel has both memorized so she really does not need someone to read them to her, but she still loves to have them read!